Oberlin, Ohio is a small community that is quickly becoming a premier retirement living destination. As a smaller community, it has a lot to offer. As a college town, it has even more. There are many reasons Kendal at Oberlin is the perfect choice for active older adults interested in a vibrant, lively and stimulating lifestyle. Residents of Kendal have access to many on-campus attractions and events at Oberlin College, including lectures, concerts and the campus libraries. 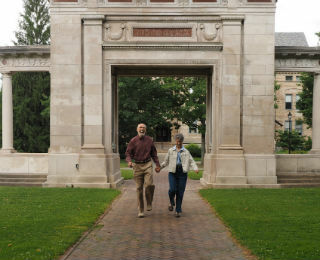 Oberlin College is within easy walking distance of the retirement community . Allen Memorial Art Museum (AMAM) is located in an Italian Renaissance-style building and admission is free to everyone. The museum has been recognized as one of the top five university and college art museums in the country. The Oberlin Conservatory of Music offers over 400 performances during the academic year, many of them free of charge. Any resident of Kendal over the age of 65 has the opportunity to audit classes at Oberlin College free of charge as long as they have permission from the professor teaching the class. There are also many lectures that are open to the greater community, including the Convocation Series, featuring some of the country’s most prominent thinkers. PBS recently reported that many residents of Kendal at Oberlin participate in the community-college sponsored Academy for Lifelong Learning program. There’s plenty of entertainment available to retirees who choose to live in Oberlin. Many of these attractions are located within walking distance of Kendal. From theatre to shopping, dining, galleries, museums, and professional sports, residents of Oberlin are also within easy driving distance to Cleveland and the wide range of cultural and entertainment venues available there. During the summer months, the pace in Oberlin is more relaxed. As August approaches, the town begins filling with college students eager for the next semester. The entire town becomes energized. It remains that way throughout the academic year with concerts, plays, dance recitals, films, and sporting events. It’s the perfect combination of small town appeal with the cultural benefits that college introduces into the mix. Oberlin is the quintessential small college town, making it a very attractive location. 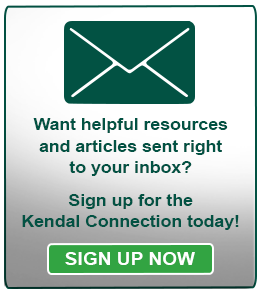 Kendal is a vibrant community that welcomes older adults who enjoy an active lifestyle and desire to develop fulfilling friendships with others. Oberlin also offers ten parks, a fishing reservoir, and two nature preserves, in addition to a paved walking and bicycle path that everyone can enjoy thanks to the flat terrain. Golfers are sure to love the Oberlin Golf Club, and the city hosts many events, such as the annual “Chalk Walk” and summer concert series in the downtown area. Oberlin has so much to offer people who want to remain active, involved, and engaged in their communities. The city and Kendal at Oberlin welcome you and invite you to see what they have to offer! Have any other questions about what Oberlin, OH has to offer? Let us know below and we'll answer your questions!